Christian and I decided to set up the tent tonight to see if we remembered how and to be sure we had all the parts. Luckily we did, because one bag of parts was still up in the attic and that would have been a bummer if we left those behind. That would have made for a very flat tent. It didn’t take very long to put up, and provided hours of fun this afternoon especially when Charlie came home from camp. It’s kinda cool to watch what kids do when they find new space and make it their own. The kids filled it with sleeping bags and chairs and toys and decorations. They were scouting for flash lights and thinking of what kind of snacks they should bring in it. I love the creativity and the sense of play that a new space creates. They wanted to sleep in it tonight but Charlie needed to get a good night’s rest after being up late every night for the past several nights. Gotta love late summer nights. We are planning a camping trip very soon and seeing the tent up is getting us very excited to be up in the mountains, near the lakes and waterfalls, with family and friends. Do you like to camp? What are some of your favorite camping meals? Love camping! We love making anything in tin foil! A little steak, potatoes, carrots, onions, butter, seasonings….bam! Hope you have fun! 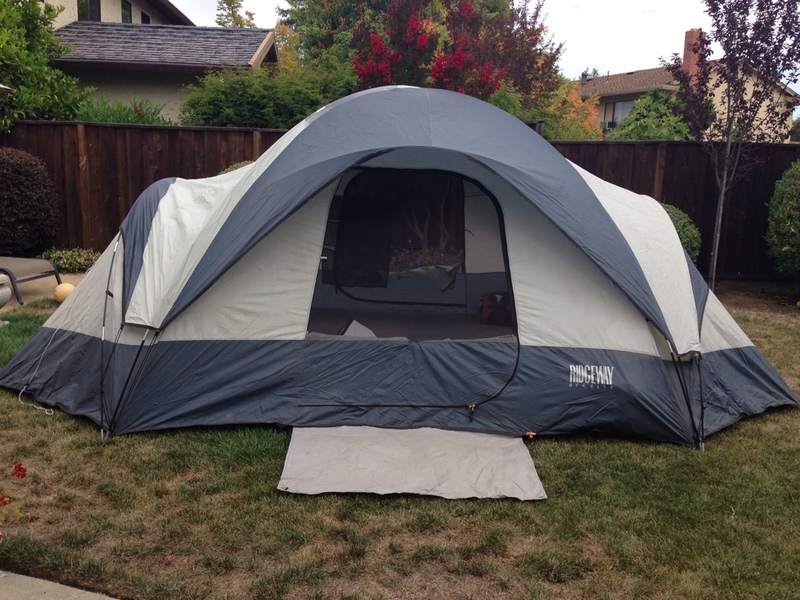 I might have to set our tent up for fun for the kids in the backyard!